Although there is consolidation in the farming industry as larger arms expand, there is also a degree of fragmentation of ownership when medium sized farms are broken up. A proportion of these smaller plots are bought by new entrants aiming to make a living from farming and/or woodland management. Most of these people make a living by adding value through on-farm processing and direct sales. This enables them to employ more people per hectare than larger farms, while productivity per hectare is broadly similar. A number of factors including the high price of land and agricultural buildings, and insecurity of tenure on rented properties, means that new entrants often buy plots of land with few or no agricultural buildings and so have to embark on a process of building their farm infrastructure. It will normally be more practical and efficient to live on site, and the cost of rural residential accommodation is much higher than can often be afforded by an otherwise viable farming enterprise. However the planning system is resistant to development in the open countryside, especially residential development; trying to break through that resistance engages the farmer in a process that is mystifying, stressful and timeconsuming. There is a dearth of national policy relating to agricultural buildings and dwellings. The National Planning Policy Framework (NPPF) states only that rural worker’s dwellings are allowable if there is an “essential need for a rural worker to live permanently at or near their place of work”. The National Planning Practice Guidance (NPPG) has nothing to say about agricultural development. Most local development plans contain policies on agricultural dwellings which echo advice previously given in PPS7, requiring that applicants should demonstrate an essential need to live on site and that the enterprise should be viable. There is nothing intrinsically wrong with these criteria but they are poorly defined and there is variation in interpretation, particularly as regards essential need. The recommended occupancy condition is weak, since it does not tie the dwelling to the land that justified it, leading to abuse. Examples of New Entrants Experiencing Planning Difficulties. Over the years Chapter 7 has documented many cases where planning officers’ resistance to agricultural development is unhelpful, and sometimes unreasonable. These include cases where officers refuse to acknowledge permitted development rights, turn down proposals for modest yet necessary agricultural buildings, or reject applications for dwellings on weak grounds. The high proportion of permissions that are granted at appeal, often after more than one application, suggests that many local authority planning officers are unduly biased against agricultural development on new holdings. Why New Entrants Meet Resistance. The main reason is that planning consent for agricultural buildings is notoriously susceptible to abuse from people who pretend or aspire to be farmers but who eventually convert farm buildings to another use, or agricultural dwellings to market housing. This is a genuine concern, inadequately addressed by the current model occupancy condition. Another reason may be that many planning officers have scant understanding of or sympathy for agriculture and forestry. • The role of temporary permission should be clarified, noting that: it serves as a trial period when there is some uncertainty about viability; that five years is often a better period than three on bareland holdings; and that an easily dismantled wooden dwelling may be more appropriate than a caravan. Yet it is doubly difficult for producers of local food to establish themselves in the green belt, owing to the hope value attached to the land and to stringent planning policies. The NPPF should be revised so as to encourage local food production and provision in the green belt, and allow that an agricultural worker’s dwelling may be appropriate. Existing farms sometimes confront much the same problems as new entrants, when succession can only be satisfactorily resolved by introducing an extra dwelling. The DHCLG should consider whether a second dwelling policy similar to that in Welsh Technical Advice 6 could be introduced in England. Here in deepest Anglesey, we are having a dispute with the RSPB over one of their reserves South Stack, which is in fact 88% public land (leased to them by the council). The RSPB plan to charge for parking on three of the four car parks at the site and there is no access via public transport and it is a remote site. Not only is the vast amount of the land in public ownership, it was also given to the people of Anglesey for their free use. The birds at South Stack are far from being the only attraction. There is a lighthouse that is over 200 years old and is an iconic part of the landscape in Anglesey and indeed the whole of Wales. This is run on a pay by admission basis by a ‘not for profit’ company who give all of their proceeds to local projects. 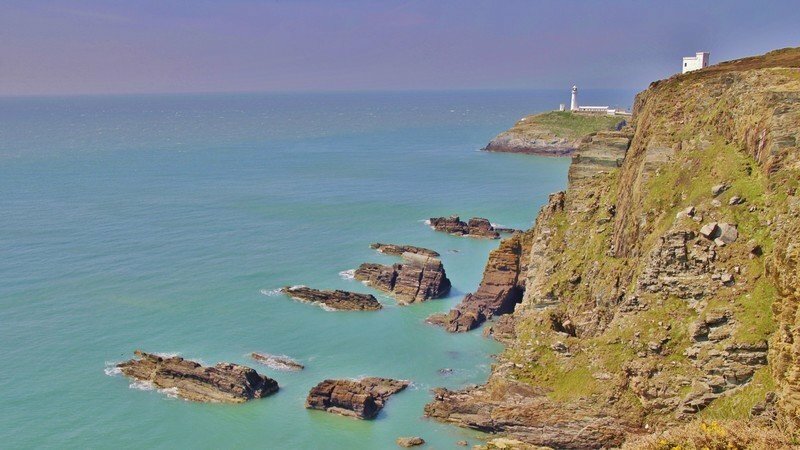 The rocks at South Stack were formed some 500 million years ago. There is also a scheduled ancient monument looked after by Cadw. Any payment taken by the RSPB will go to the RSPB alone. They have proposed that on a trial basis, they charge a reduced sum of £2 an hour (originally it was to be a flat fee of £5). They have stated that they cannot guarantee that they will not put this charge back up again as it is subject to review. This parking fee is a large amount for people living on this island that has some of the most deprived areas in Wales. This is at a time when we are supposed to be encouraging exercise and ‘getting outdoors’ for the wellbeing of a nation. They also plan to upgrade their visitor centre/café to the tune of £840,000 (some of which will be publicly funded), when done they will be sitting on a huge piece of valuable real estate. They say that they need the parking fee to justify the investment from their Trustees for the building work. If pushed, they revert to mentioning that nature needs help. They have been refused planning permission for 4 parking payment machines by the Council but have indicated that they will now appeal to the Planning Inspectorate. I attach a petition now signed by over 6,000 against the parking, hopefully my updates within will give you plenty of information but I am happy to answer any questions. Do any TLIO members have experience of large charities acting in this way, against the public good? Interested in any thoughts and comments on either side of the debate. With many thanks for allowing me to post. The Communities and Local Government Committee (CLG) is calling for written submissions which examine the effectiveness of current land value capture methods, and the need for new ways of capturing any uplift in the value of land associated with the granting of planning permission or nearby infrastructure improvements and other factors. Community Land Trusts (CLTs) are a form of community-led housing, set up and run by ordinary people to develop and manage homes as well as other assets important to that community, like community enterprises, food growing or workspaces. CLTs act as long-term stewards of housing, ensuring that it remains genuinely affordable, based on what people actually earn in their area, not just for now but for every future occupier. There are now over 225 Community Land Trusts in England and Wales, and the sector has grown six-fold in the last six years. The largest Community Land Trusts have over 1000 members each. Community Land Trusts have developed over 700 permanently affordable homes to date and will have developed a further 3000 homes by 2020. Where: Dudleston Community Protection Camp, Shropshire on the Wales/England Border. About: Reclaim the Fields UK (RTF) was born in 2011, as a star in a wider constellation of food and land struggles that reaches around the globe. Since 2011, camps and other RTF gatherings have helped support local communities in struggle, share skills, developed networks, and strengthened the resistance to exploitation, in Bristol, west London, Gloucestershire, Nottingham and Fife among other locations. Every two years there is also an international camp, where people from around Europe and beyond meet together to support a local struggle (from gold mining in Romania to open cast coal mining in Germany, for example). People share share stories and ideas about resistance and reclaiming our food system beyond national borders. This year, an international gathering will be held in the UK, in Dudleston, Shropshire, on the Welsh/English border. Two days of Action – Tuesday 1st & Wednesday 2nd September – demonstrations & actions against companies involved in the construction of the North Wales prison, as well as local fracking-related targets. 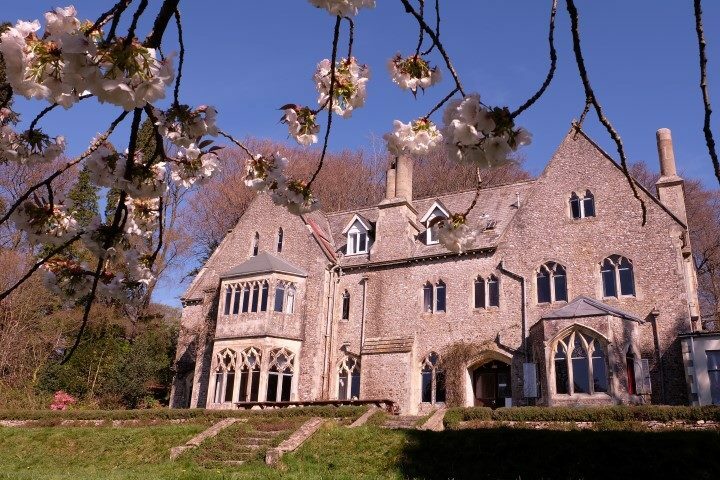 Making, playing and exploring together in the beautiful surroundings of Monkton Wyld Court. Activities will be tailored to the weather so we can’t tell you what they will be yet but forest-school trained workshop leader Polly never fails to disappoint! Lunch: £3.50 per child, £8 per adult. 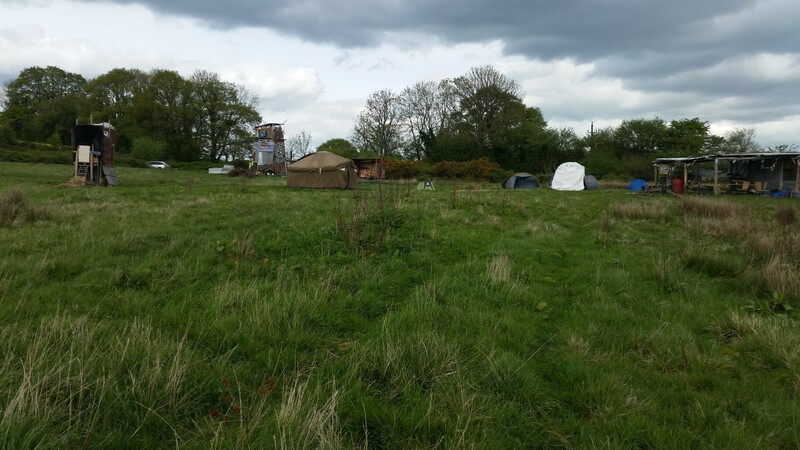 Dear All,The Landworkers Alliance present the first ever FarmHack event outside of north America at Ruskin Mill Farm, Gloucestershire on Saturday 18th & Sunday 19th April 2015. The event will bring together farmers, growers, fabricators, engineers and IT programmers to demonstrate and share tools, skills & ideas. Over the two days there will be field demonstrations, practical workshops, seminars, entertainment, good food, local ale and a stomping ceilidh. Please help us to spread the word, especially to those who have appropriate tools and machinery to demonstrate. There are also a couple of free slots in the workshop sessions for anyone who has ideas, theories or technology of benefit to the FarmHack community. Please contact Ed directly on 07858 381539 or edhamer@riseup.net if you would like to present at FarmHack UK.